Marcus Numidius (Ettore Manni), a Roman tribune sent to Armenia to put down a gladiators' revolt, captures the rebels' popular leader, Aselepius (Georges Marchal). Princess Amira (Gianna Maria Canale), with ambitions of being Queen and jealous of Asclepius' popularity, plans his death in the arena by substituting a lion for his human opponent. 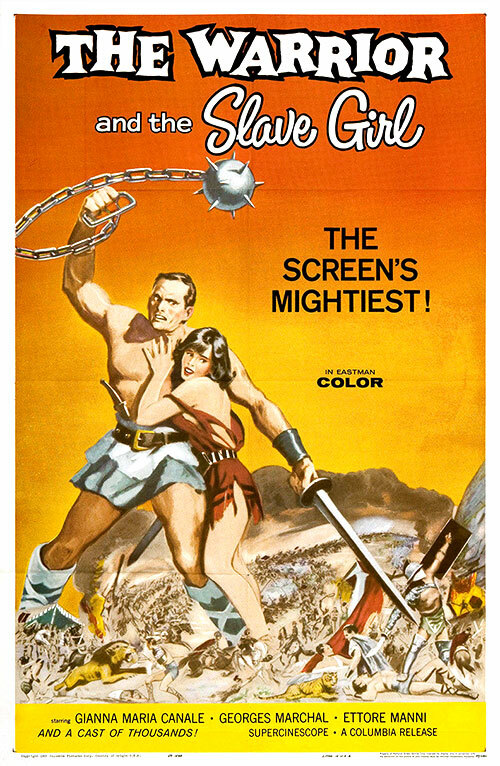 0 Response to "The Warrior and the Slave Girl (1958) Vittorio Cottafavi"